Welcome to Bubbalooz!! It's so lovely to have you here. 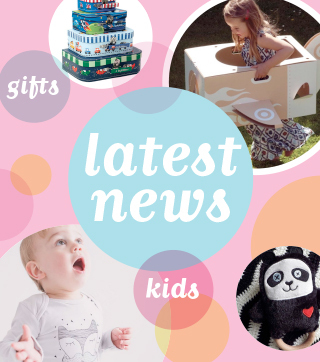 Bubbalooz is online boutique based in Auckland, New Zealand. At Bubbalooz we have lots of gorgeous products you can purchase for baby, kid, Mum and even Dad. We focus on products that are 'a little bit different' and unique - products that you won't be able to find at every shop to help your gift stand out. We are always on the look out for new products to add to our mix so make sure you are signed up to our newsletter to keep up to date with the latest!! We pride ourselves on providing fantastic products finished off with exceptional service. We want happy customers who return to us and recommend us to your friends and family. International customers are able to shop with us to buy gifts for their NZ based friends and families too - we have a great selection of gift ideas for all ages. Please feel free to contact us if you have any queries. If you know if any fabulous products, and are looking for someone in NZ to stock them, please let us know too!